Everything you've been looking for! This townhome offers a spacious main floor layout, with soaring ceilings. Kitchen boasts all stainless steel appliances, upgraded countertops, and oversized 42" cabinets - you'll love whipping up home-cooked meals for the family here! The second story offers 2 bedrooms and 2 full bathrooms. Master bedroom has walk-in closet and private bath. 2nd floor loft overlooks the living room, and is pre-wired for internet making it a great home-office option! This home is part of the Emerald Bay Townhomes association, so exterior maintenance will never be a worry. 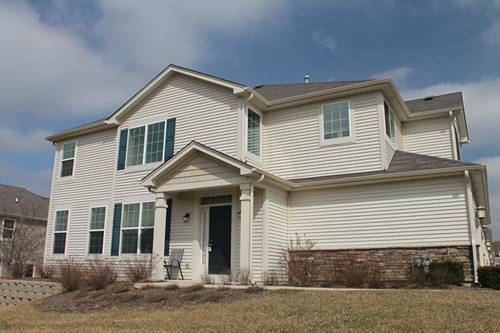 The community has paved walking trails, and is close to the Millennial Trail and Nippersink Forest Preserve. This home is one of the newer models in the neighborhood, and has been very well maintained inside - great value for your money! 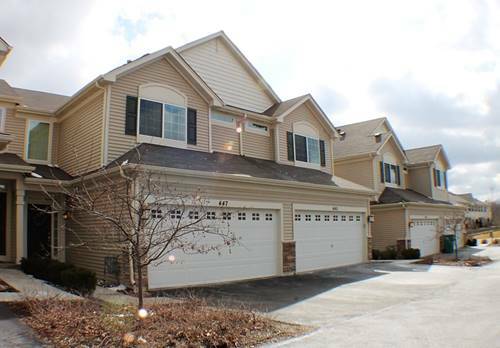 For more information about 447 S Jade Apt 447, Round Lake, IL 60073 contact Urban Real Estate.